Rosy loved her London life – her job in a designer shop, her gorgeous West London family house and of course her gorgeous family (although young sons are enough to test anyone at times). All that disappears when, one unremarkable morning, after one unremarkable school run, her husband collapses on a crowded tube carriage and dies. As she struggles her way through the grief, she discovers her husband’s secret life: secrets accounts, secret deals that their solicitor knew nothing of, secret debts and what looks like a secret “very close friend” at least. Totally unprepared and suddenly in debt, Rosy is forced to leave London to start a new life with her incredibly reluctant boys in the countryside. Can angsty urban teenagers cope with farm life, let alone enjoy it? More to the point, can their mother? It’s certainly not going to be easy but when you are at rock bottom the only way is up. First and foremost, this book couldn't have come into my life at a better time. The main character, Rosy, has her life turned completely upside down by a series of unpredictable twists throughout the course of the story. She has to deal with every woman's worst nightmare - the sudden death of her partner coupled with debt and the emotional challenges of bringing up two children as a newly single parent. As if that wasn't enough to deal with, she then discovers her husband's secrets and realises she was completely taken in by the lies of the man she loved. But here's the most remarkable part. Through it all, regardless of everything she has to deal with, Rosy manages to stay positive. Sure, she has her moments, she breaks down and cries, but she always gets back up again and carries on with life. And for that, I both admire her and look to her as an inspiration. Life often has a habit of throwing complete curveballs at us; one minute things are fine, the next your life has been changed forever. When something like that happens, we have two choices. First, we can break down, give up, and basically put our life on hold while we wallow in misery. Or, secondly, we can allow ourselves a period of time to deal with things before moving forward with life. In this book, Rosy chooses the second option. She gives herself time to deal with her grief, but circumstances and the people around her force her to stay strong and keep positive. The point I'm trying to make is that this is a vitally important message to bear in mind. No matter how bad things are, they will always get better; Rosy's story epitomises that. Even aside from this, The Lost and Found Life of Rosy Bennett is a poignant read. Once you dig below the chicklit surface you uncover a whole host of honestly quite touching parts to the book that are often overshadowed. The best thing about this book is by far the characters. Not just Rosy, but her children too - they are all so incredibly real in the way that they react when placed in such an unpredictable and unfamiliar situation. From Archie's premature assuming of the role of 'man of the house' to James' emotional issues, the very fact that they deal with events so differently is proof of the strength of their characters. Then we come to the alpacas. It's clear the author knows her stuff when it comes to these animals, as the entire book is a veritable mine of alpaca facts. Not only do the alpacas complete the family's transition from city to country, but the way that Rosy's view of them changes throughout the book is another subtle turning point. One way or another, the alpacas are central to this story. Even though they often take the backseat to Rosy's problems with romance and the boys, the alpacas are a constant, pronking through the pages of the book from beginning to end. 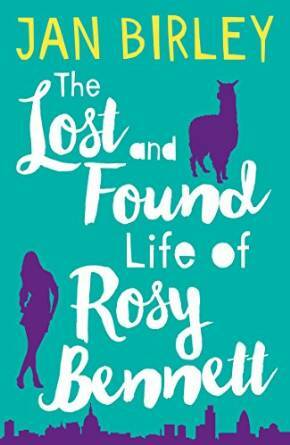 The Lost and Found Life of Rosy Bennett is available to buy now. I also have an ecopy of the book to give away to one lucky reader! If you fancy getting your hands on a copy, enter via the Rafflecopter widget below - good luck! 1. Giveaway closes on 12th June 2016 at 11.59pm (GMT). 2. The prize consists of one ecopy of The Lost and Found Life of Rosy Bennett by Jan Birley. 3. Upon confirmation of the winner's address, the prize will be sent to the winner by HCL Publicity, NOT The Writing Greyhound. 4. This giveaway is open to residents of the UK aged 13 and over. 5. The winner will be randomly generated by Rafflecopter once the giveaway has ended. 6. The winner will be informed by email once the giveaway has ended. 7. 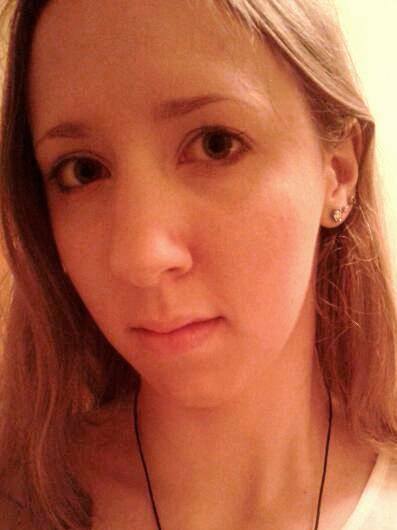 The winner will have 72 hours to claim their prize. If the winner has not responded by this time, another winner will be announced. Thanks for commenting, but I need your name to validate your entry! This looks intriguing - I'd love to read it. I love to read and this book sounds really good. I love reading and the book sounds brilliant! It's a great read! Thanks for entering!